The Ultimate Hat-Trick of God in Four Sentences. 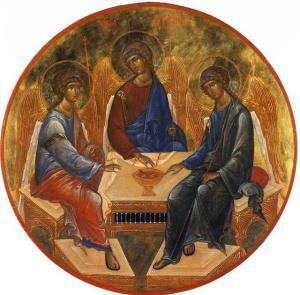 It is useful to consider Shore’s take on the Gospel of John’s initial words as heralding the Trinity–and by doing so having a grasp of the notion of the Trinity. Shore goes on to challenge the notion of accepting Jesus in order to have the Holy Spirit. This will make some uncomfortable. I find people come to God in so many different ways and circumstances that perhaps that notion should be challenged. It is however, how we “do” Christianity. I do know that Holy Ghost is the greatest Evangelist and He is unconcerned with orders and formulas we come up with. I also know the Holy Ghost operates on folks that are not believers. Who is gathered? the Elect the Elect The Dead then the Saints. Dead judged/ Saints rewarded. What will be heard? a trumpet The voice of an archangel and a trumpet. Last trumpet The voice of an archangel and a trumpet. 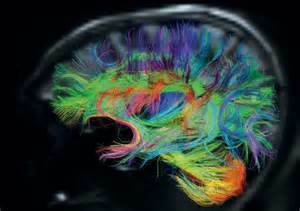 ..the human brain (the most ‘centro-complex’ organism yet achieved to our knowledge in the universe)..